Thousands of men, women and children in the Geelong community are struggling to put three healthy meals on the table each day. 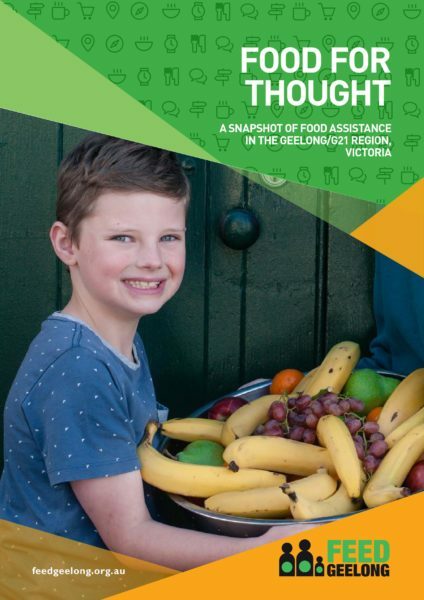 In order to understand the state of emergency food assistance in the G21 Region, the Give Where You Live Foundation has released key research entitled Food For Thought: A Snapshot of Food Assistance in the Geelong/G21 Region, Victoria 2018. Read Food For Thought Report: An Executive Summary here or the Fast Facts here. To view the Food For Thought Report in its entirety, please click here.